Let us know about an assignment requiring library support. Staff will gather appropriate materials and web sites to support the assignment. Please offer us as much advance notice as possible. Please be aware that students may not be able to check out some materials and should be prepared to work in the library. 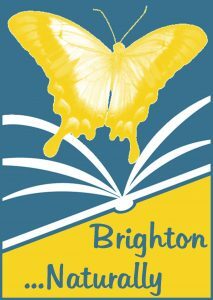 This service loans a collection of books to schools, commercial daycares, and preschools located within the Brighton District Library service area. Little Library in a Box contains fiction titles for children ages preschool through grade 4. These boxes check out for 8 weeks and may be renewed for an additional four weeks. There is a limit of one box per library card. Please call the Youth Department at 810-229-6571 x223 to request a box. The websites selected for this list contain information on a wide variety of topics of interest to daycare providers and educators. Association for Library Service to Children – the world’s largest organization dedicated to the support and enhancement of library service to children. Center for Parent Information and Resources – Your central “Hub” of information and products created for the network of Parent Centers serving families of children with disabilities. Common Core State Standards – hosted and maintained by the Council of Chief State School Officers (CCSSO) and the National Governors Association Center for Best Practices (NGA Center). Early On – Early On – assists families with infants and toddlers, from birth until 36 months or 3 years of age, who have a delay in their development or a diagnosed disability. Familyeducation.com – Good resource for parents of children from preschool through high school. Great Start Livingston – a partnership of local professionals, community leaders and parents committed to establishing and maintaining a comprehensive early childhood system addressing all factors influencing a young child’s readiness for school and life. Reach Out and Read Reach Out and Read (ROR) promotes early literacy by giving new books to children and advice to parents about the importance of reading aloud in pediatric exam rooms across the nation. Reading is Fundamental – We prepare and motivate children to read by delivering free books and literacy resources to those children and families who need them most. Read Write Think – Our mission is to provide educators, parents, and afterschool professionals with access to the highest quality practices in reading and language arts instruction by offering the very best in free materials. SuperKids – a collection of easy-to-use, free educational resources, for home and school. Teacher Tube An online community for sharing instructional videos for teachers, schools, and home learners. Teachers can post videos designed for students to view in order to learn a concept or skill. These materials offer a wide variety of resources on a child’s growth and development and a vast array of education topics for children of all ages. This collection is located to the right of the entrance to the Youth Department. These hands-on toys and activities encourage creativity, conversation, and active play. Some help build fine motor skills, others offer tactile stimulation. Speech and therapy cards are excellent for cognitive, speech, or emotional impairments. Our story kits help children with comprehension. Toys may be checked out for two weeks. This collection aids the person with visual and hearing impairments, cognitive challenges, motor, speech or language delays, and emotional and behavioral issues. Parents, caregivers, and teachers of special needs students will find these current resources very helpful. A parent-run Christian co-op serving homeschoolers in need of support from other homeschooling families. We provide quality academic and enrichment classes for all ages with a focus on growing and establishing our Middle/High School program. Most classes are taught by parents in their areas of education and experience, which keeps the cost of classes very minimal for required materials, with a few classes taught by professional instructors. The Home School Connection, LLC is an interdenominational Christian co-operative: parents working with parents, to provide a variety of academic and enrichment classes for their home-schooled students of all ages. Homeschool athletics in various sports – volleyball, basketball, soccer, baseball – see website for teams levels offered. HSLDA has over 55,000 families, supported by more than 50 dedicated staff members, who have banded together to ensure that our rights are respected and our freedoms are protected. Mid-Michigan Christian Home Educators, Inc.
Homeschool World is the official site of Practical Homeschooling and presents an extensive collection of homeschooling resources. Their list of Homeschool Organizations is organized by state. This nonprofit organization concerns education alternatives: community schools, alternative learning centers (public and private), and homeschooling. Site features e-mail discussion groups, a magazine, radio talk show, and catalog on education news. The magazine for creative homeschoolers. Published from a Christian perspective. The FamilyEducation Network provides helpful advice by ages, grades and school subjects, educational activities, news affecting children and families, and homeschooling. A comprehensive menu of homeschool sites, study resources, and an online Homeschool Mall. site includes links to many different kinds of information, from local state information to joining a message board and chat rooms. Monthly e-zine with articles, ideas, lesson plans, and educational resources and tips. This attractive Web site of the national legal organization features easily accessible summaries of applicable laws and homeschool statutes by state. Crafts, recipes, unit ideas, and more for the homeschooler on a budget. An 83,000 title library of textbooks on tape or computer disk for people who cannot effectively read standard print because of a visual impairment, learning disability or other physical disability. Exciting and unique nature-based resource boxes are available for check out for 8 weeks with a Brighton District Library card. These resource boxes contain a variety of books, learning toys, activities and audio/visual materials to support various nature related topics. To reserve a box, click the link below and place a hold through the library catalog.